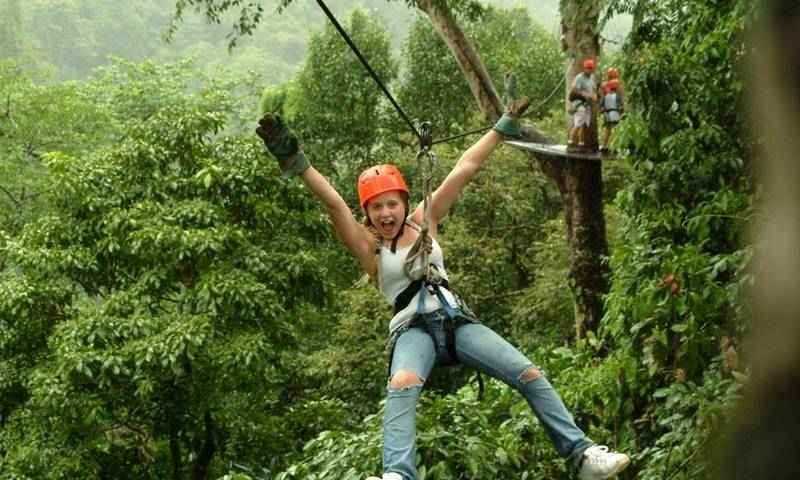 The zip lining area is roughly 25 to 35 minutes from Manuel Antonio & Quepos. We guarantee you will enjoy your time doing the Zip Line Tour. A really good experience if you want to know the forest, the Tour Company takes you the forest at 25 minutes from Manuel Antonio, they provide you the transportation and the lunch (Costa Rican lunch). The tour has 14 tree platforms, 3 towers, 6 hanging bridges, 3 nature walks and 1 double belay rappel. The tour takes 4 hours.